Elevate your trouser game with the Anya Palazzo Pants by Friend of Audrey. 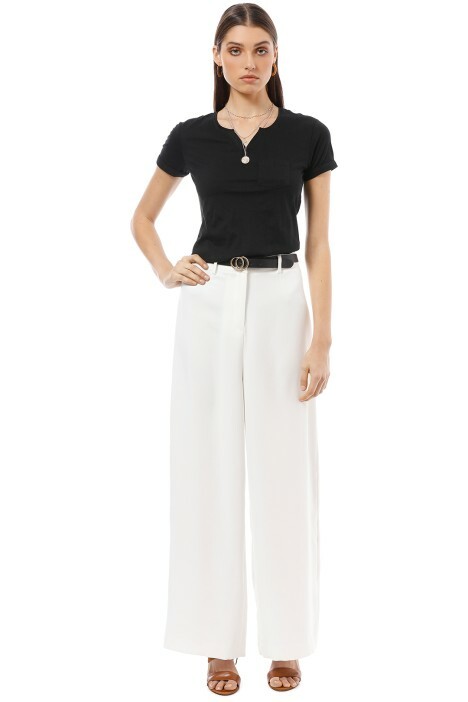 Constructed from white crepe fabric, the ultra-chic pants feature a high waist and a fluid, wide-leg silhouette for extra volume and glamour. Simple and sophisticated, rent it for a day at the races or a cocktail party. Channel elegant minimalism at Derby Day by styling with a black and white polka-dot blouse and block heels. No race day look is complete without a standout headpiece, so don’t forget to hire a chic monochrome fascinator! Read our blog post for our guide to the Derby Day dress code. Pair this with a black basic tee or the Sylvie Cami.